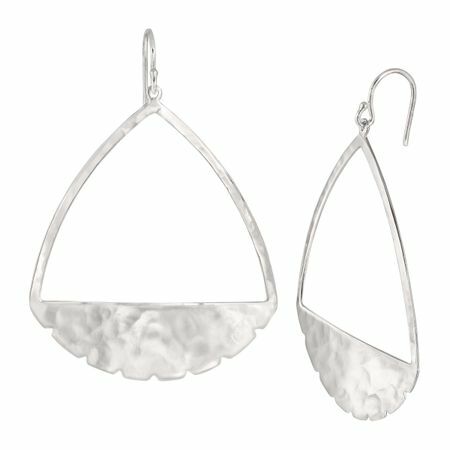 Scalloped edges and hammered sterling silver give these oversized drop earrings the edgy look your cargo jacket and loose tank top needs. Earrings measure 2 1/2 by 1 3/4 inches and feature French wire back findings. Pieces come with “.925” sterling silver quality stamps as symbols of guaranteed product quality.